You are here: Home / Blog / Uncategorized / Saying Goodbyes…. So I will be returning home soon( 24th June) to a country far removed from Cambodia. With only a few days left it is time to start saying my goodbyes so I went to visit a few people yesterday that I have had the privilege of meeting in my 2 years here. My former employer (Waitrose ) were generous enough to give me a sum of money to use for whatever needs I thought necessary out here. I was able to sponsor some children that went to one of the local schools along with an individual donation for one of them. 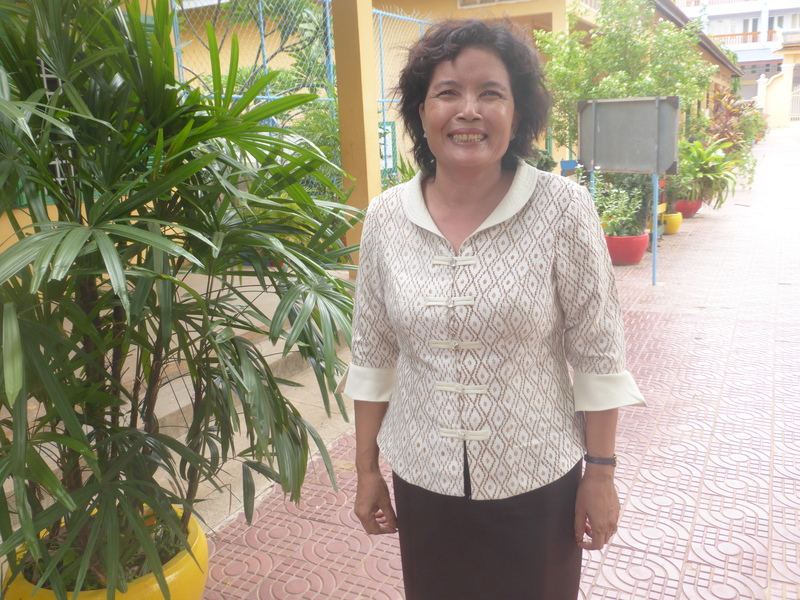 It was only a small sum each week but enough to make a difference as although schooling should be free in Cambodia there are still monies that need to be paid for a child to attend. 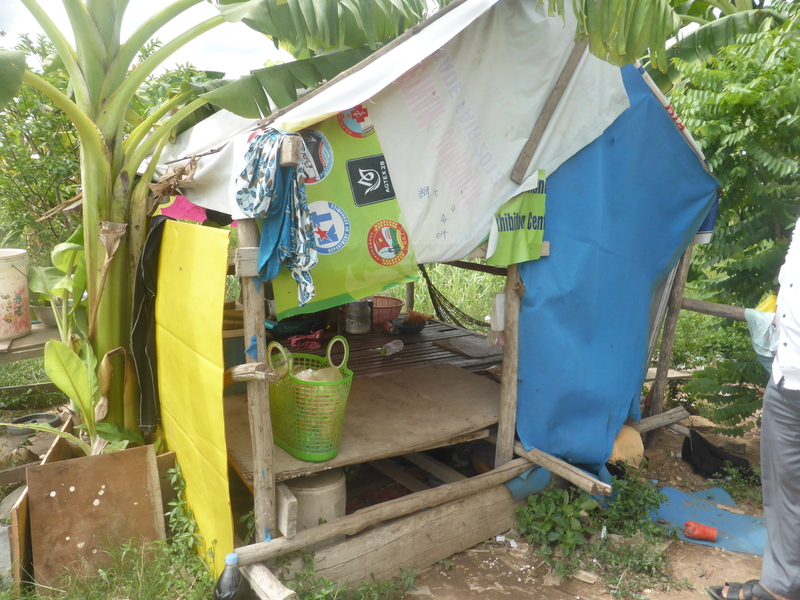 This is where Srey Mey lives with her mother and two sisters ( her older sister has moved away to work in a garment factory so she can earn money for the family. She stopped going to school to do this.) 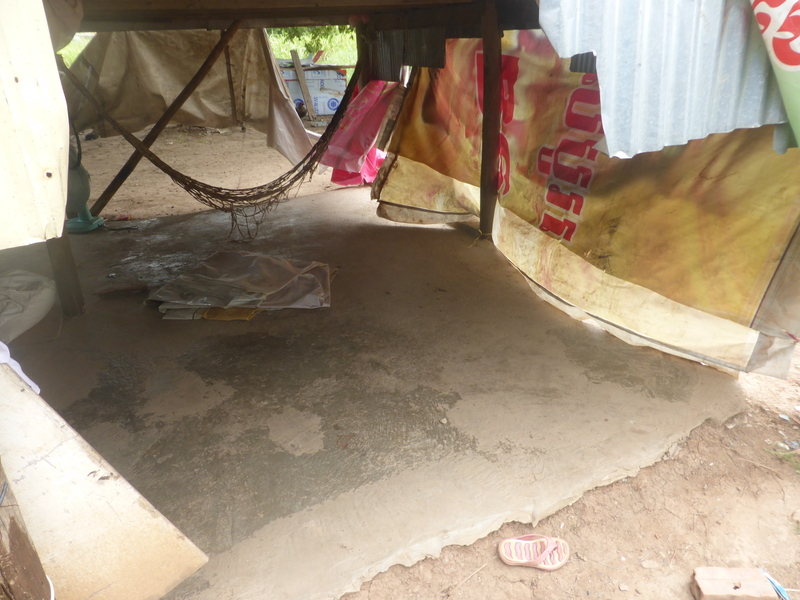 Although this is their house they sleep on the floor of their neighbors house as their own is not well protected against the rain….as well as being too small for four of them to sleep in. This is Petra’s mother. 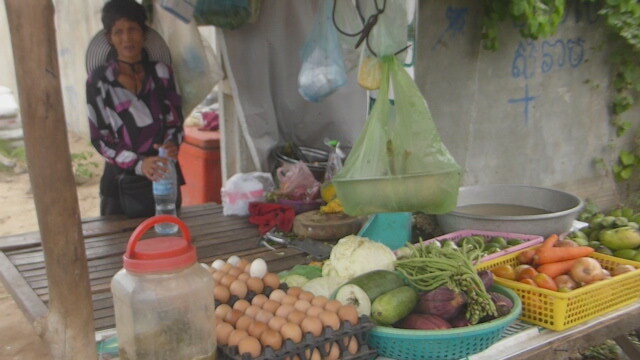 She works selling vegetables 7 days a week making maybe $4 a day. Her husband had a moto accident some years ago and has a metal plate in his leg so cannot work. 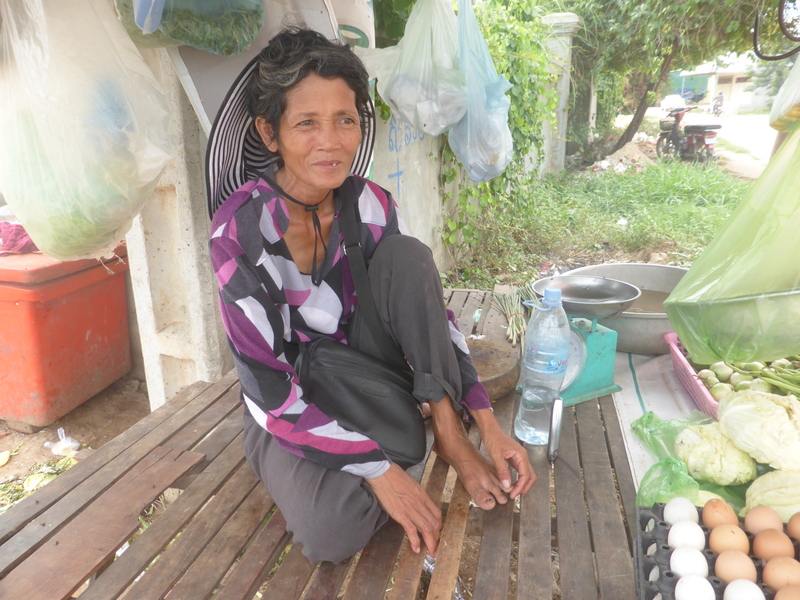 The money given to her daughter each week is invaluable to them. 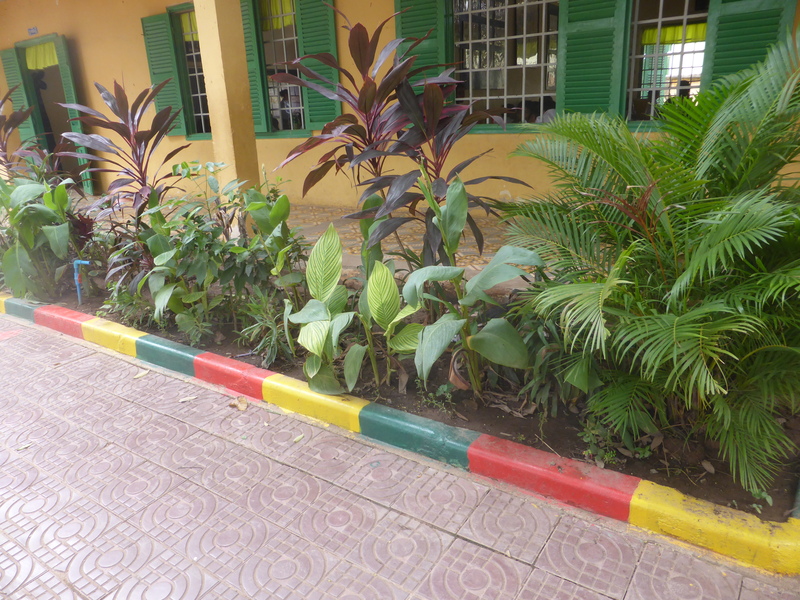 Some of the money was put towards painting the local school and supplying it with a few plants. This probably sounds a bit boring to many but I cannot tell you how pleased the whole school was with this gift, that is the Headmistress , teachers, and pupils who painted it themselves. 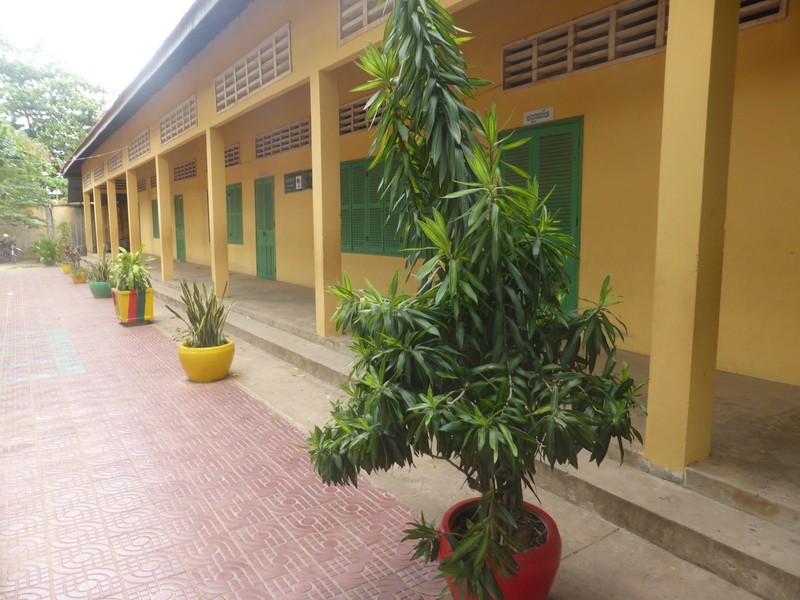 Probably the best looking government school in Cambodia..! P.S. 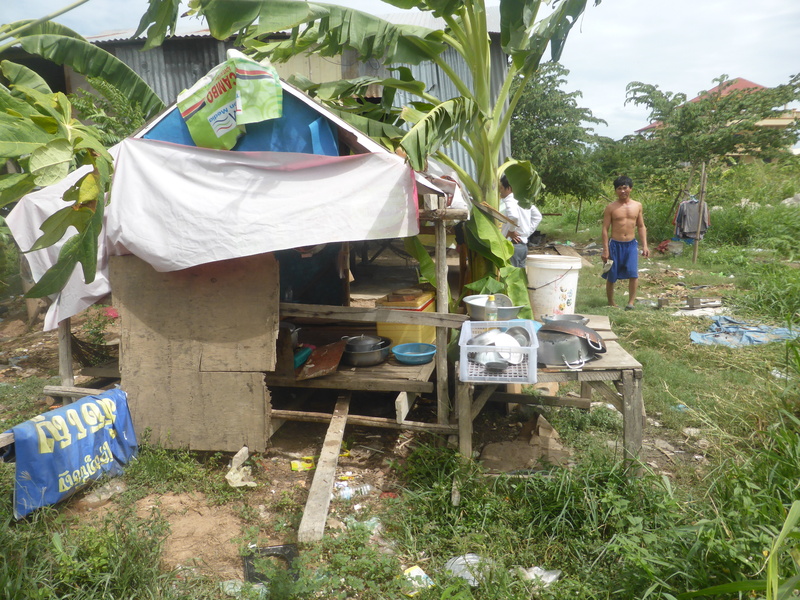 I have been able to give a sum of money to Srey Meys family so that they can build a new, bigger and more suitable house. Thank you to those who donated, I will show pictures of the new home when it is completed. We would like to give our thanks to the Kingdom Bank, without whose support the Helping Hands project would not have been possible. All our sponsored children attend the BELTEI International School. 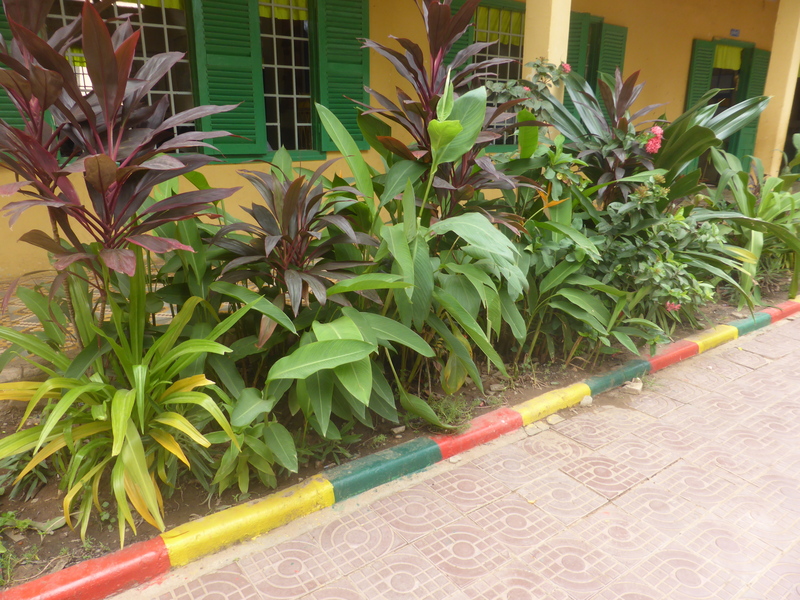 Take a look at Homestay if you are interested in coming and visiting Cambodia, and are looking for somewhere to stay that is fairly close to the slums in which Helping Hand is working. Helping Hand is a registered charity: Number 1171400.